Code Review Etiquette is not discussed with a quarter of the level of scrutiny that code is within the engineering community. Code Review Etiquette affects learning, code quality, relationships, and self-confidence. Code is logical in nature. It is easy to pinpoint code that is incorrect or could be improved. The human condition when looking at and discussing logical things (like code) can disregard feelings of other people. This causes feelings get hurt and loss of focus on learning and collaboration. This post boils down general feelings mixed with suggestions to improve Code Review Etiquette. 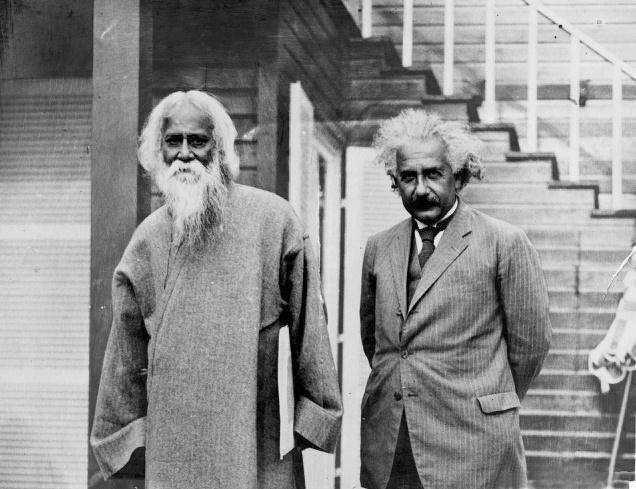 Albert Einstein and Rabindranath Tagare discussing music, July 4th, 1930. Image from Mind Pod Network. Note: Improving Code Review Etiquette, because of the human condition, is difficult! Here is a quick list of things that I’ve done, said, seen, or received that are easier wins in the art of Code Review Etiquette. Without realizing it, often the difference between insightful critique and criticism involves personal relationships in communication. The lines below dissect a code review comment of the theoretical function where it is suggested that the there is an opportunity to return out of the function early. **You and I: ** Using you or I is probably not offensive intentionally so don’t worry. However, over time, involving the person can start to feel less positive—especially if there are ever vocal tones added. We: Using we is inclusive and it seems like a safe thing to say. However, if the person speaking says we, and has not worked on the code at all, it may seem falsely inclusive. Notice how the amount of text needed to communicate the same thing without using personal relationship takes fewer words and speaks most clearly to them too. This helps with human interaction, separate code discussion from personal discussion, and fewer words are needed to communicate the same thing. Passion is an important motivator for improving at things. Even passion when it is critical in nature can be very considerate and motivating. Feedback that is most useful to people is often critical in nature if the person receiving the critique is engaged. This sort of communication comes up a lot during architectural conversations or when discussing new products. Feedback that is most useful to a person is often critical in nature if the person receiving the critique is engaged. Note: the person receiving the information must be engaged to the critique. that could be caused by new race conditions! There are 8 web fonts used in this mock. and possible tracking metrics because of potential race conditions! Notice, how the comments above are almost the same. The second comment is even more direct. It states a problem as a fact and then requests feedback. An important thing to remember when being passionate is taking on a quieter tone. This is a physical decision—not a social one. Passionate language can be the same and perceived very differently based on the orientation of the communicator’s tone. If physical tone (body language), vocal tone, vocal pitch, and vocal volume remain gentle, it is observed that it is much more likely for an audience to remain engaged—even if the critique is critical in nature. Furthermore, it is observed that if the tone is seemingly aggressive in nature (exaggerated physical movement, more excited vocal tone, higher volume) that the actual words used can be gentle in nature but the audience can feel very differently. This communication leads to embarrassment, a disengaged audience, and even loss of respect. Seemingly aggressive communication is common with passionate communication because human condition wants to protect ideas that humans are passionate about. So, don’t worry about it too much if you observe that your audience is disengaged when discussing something that you’re passionate about. The key is to remember that if you can create perceived gentle communication that it will be easier for your audience to remain engaged—even if they are not initially in agreement. Following the conversation above, pointing with written conversation or actual body language in almost any situation is not optimal for good communication. It changes the focal point of the conversation from the context of the conversation to a person or thing. The example below shows how this behavior can happen in a code review. The example takes on the same function example as above—where the function can be return sooner. The comment below provides a comment and then a link that goes above 5 levels higher which is actually confusing in the context of the code review. return out of this function earlier. In the two comments above, the first comment causes the reader to go far beyond the issue. The conversation is more abstract—even existential. The second comment refers directly to the issue, then provides a pseudo code example that relates directly to the comment. Try to describe what is being discussed and try to remain on topic. This problem seems clear. ‘Taking a step back’, is a comment that happens often. This may be necessary if the communicator is the one that is miscommunicating. If the communicator is referring that result of very different. Developers almost always want to re-write things. It is natural to break down problems to tasks and mentalities in real-time. Putting focus on who’s and why’s of products based on their history is an important to conceptualize because of the context that is gained. The phrase, ‘history repeats itself’ is key to that sentiment. This is important to remember when critiquing products or when a product you’ve written is critiqued. There is always a great amount of knowledge to be gained from context. The above list is general high-level things that can help with positive engagement when talking about, reviewing, or reading about code or technology. I am a hypocrite. I do all of the things that I’ve written not to do in the list above. The goal for Code Review Etiquette is developing a standard etiquette to strive for when discussing code in any format. Much like code, communication has things that are right and wrong. I hope to work with other developers to improve Code Review Etiquette by developing standards by which code can be discussed.